Newcastle United manager Alan Pardew believes new signing Moussa Sissoko was the key factor in the vital victory at fellow strugglers Aston Villa. The 23-year-old made an impressive debut in Newcastle's 2-1 win at Villa Park, their first league success since mid-December, following his move from Toulouse. 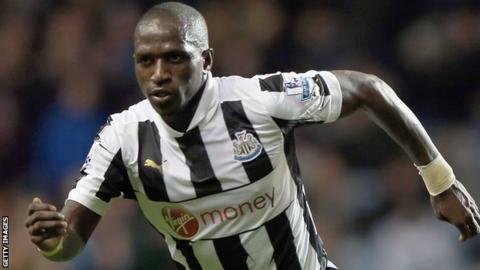 Pardew said: "I don't think we would have won that game if we hadn't signed Sissoko. That is how important that signing was." He added: "He did really well to get that deal over the line in time. "I thought he was magnificent and will be a superb player for us. We were superb in the first half, as good as we have been all year, and he played a big part in that." "I envisage him playing in a role where he can use his energy and power. I don't want to compare him to anybody but he can play all three roles in that midfield." Pardew also handed a debut to fellow Frenchman Yoan Gouffran and the number of French players at the club now stands at 10. Five of those have arrived during the January transfer window and Pardew was delighted with the fresh impetus in his squad. He said: "We had a nice evening in the hotel with them last night and a really good team meeting. There was a good feeling about them and a bit of a laugh with the French translations. "I think it was obvious when Demba Ba went [we needed players] but the new players coming in have given us the lift we needed. Pardew added: "It's been tough for our fans so it was nice to go over to them and give them something to cheer." The win was Newcastle's first on the road in all competitions this season, their last away victory came at Chelsea on 2 May. "We were superb in the first half and we played as well as we have played all year. They got an early goal and then we had to show another side as we showed real fight. "It was lovely to see us play the football Newcastle fans want to see us play. It's been a real struggle for us so far but we've got 14 big games left." Villa boss Paul Lambert believes his side paid the price for a poor first half as they dropped back into the bottom three. He said: "The second half - that was how you play football. It was night and day compared to the first half. We got a standing ovation from our fans at the end even though we had lost at home. It was an incredible thing - I'm not sure I've ever seen that before. "We never let Newcastle settle and we didn't let them get out of their half but the effort and the way they played in the second half I thought deserved something. "You have to survive in the league but the second half showing gives up hope. Sometimes you need help so we'll see what happens."